Products :: Water Filter Cartridges & Parts :: Whole house cartridges :: Polypropelene Filter Cartridge 10"
HomeProductsWater Filter Cartridges & PartsWhole house cartridgesPolypropelene Filter Cartridge 10"
It can fit most standard 10" whole house water filter housings in the market. It comes in 1, 5, 10, 20 and 50 microns. Microns measure the permeability of the filter. Water is forced to pass through tiny holes with a diameter of eg 5 microns. To give you a rough idea, human hair have a permeability of 100 microns. 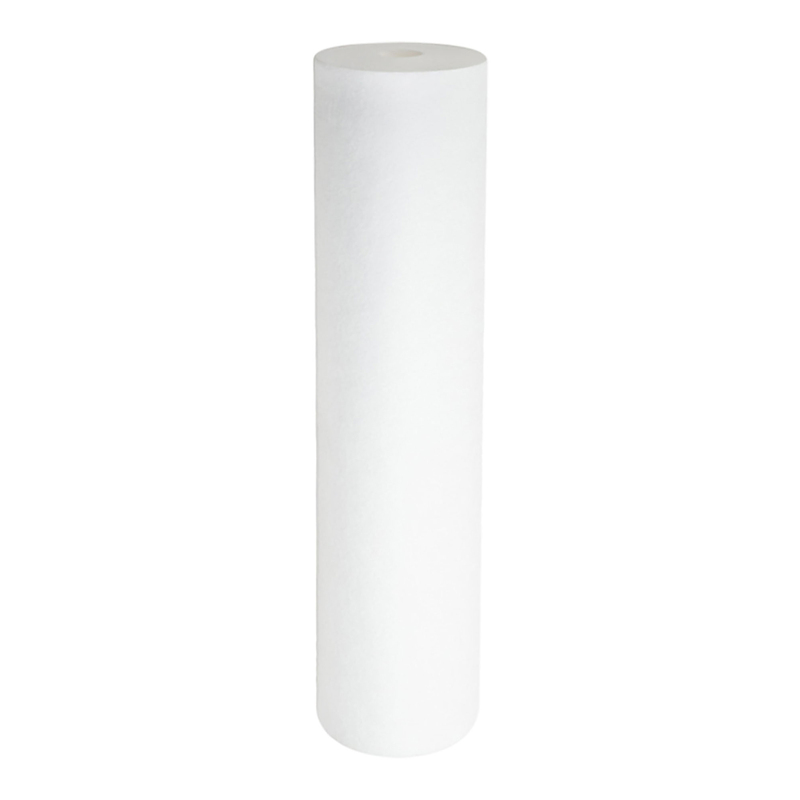 Select the permeability of the filter depending on your needs and water quality. For example, if this PP filter is meant for a whole house water filter select either 20 or 50 microns to avoid pressure drop. If it is meant for an under sink water filter, select 5 microns.